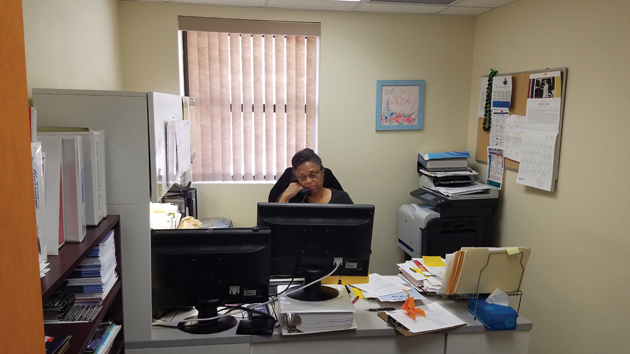 The National Training Center’s EFMP manager, Mrs. Fontella Grimes, is on the phone with one of the program’s 270 clients. Her dedication and willingness to go far and beyond, shines a spotlight on her program in this month’s High Desert Warrior. 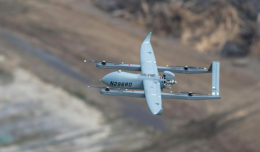 FORT IRWIN, Calif. — The Exceptional Family Member Program (EFMP) is a service for military families with special needs. 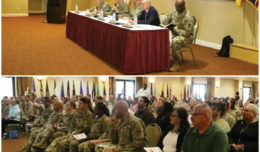 The Army designed the EFMP to be a comprehensive, coordinated, multi-agency program that provides community support, housing, medical, educational, and personnel services to military families with special needs. Approximately 10% of Army Families have members with special needs, including spouses, children, or dependent parents who require special medical or educational services. EFMP falls under the Army Community Services program (ACS). The National Training Center (NTC)’s EFMP Program Manager’s name is Fontella Grimes in building 111, on Langford Lake road. Grimes has worked there since Nov. 26, 2018 and arrived with a vast amount of experience from working in the Federal Government for more than ten years. 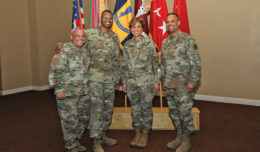 Her experienced came from working in several programs within the directorate of Military Welfare & Recreation (MWR), to include the Information Referral Program, Employee Readiness and being employed as a School Liaison. As of the end of March 2019, Grimes has 270 special needs clients enrolled in the EFMP here at the NTC where she serves in her duty capacity. “EFMP requires a strong compassion, dedication and a commitment to those with special needs,” Grimes said. Grimes said if Soldiers and the community have questions or even suggestions about the EFMP, to reach out to her at (760) 380-3698.